Dragon Herbs offers the best of the great tonic herbal tradition to those who desire to make the most of their lives. By providing a full range of superior herbal formulations made from the best ingredients in the world, Ron Teeguarden, founder and president of Dragon Herbs, believes that Dragon Herbs can contribute in a profound and substantial way to the health of all those who are seeking a better way of living. Superior quality tonic herbs are whole and rich. They possess extraordinary chemical profiles that provide a basis for their reputations as life-promoting substances. These herbs possess unique natural phytochemicals that cannot be synthesized and cannot be matched by pharmaceutical supplements. Dragon Herbs offers the most complete and powerful line of tonic herbal products in the world. As a result of years of searching, Master Herbalist Ron Teeguarden and his team of experts have found the best sources of famous tonic herbs like Ginseng, Schizandra, Astragalus, Goji, He Shou Wu, Pearl, Tongkat Ali, Reishi, Chaga, Deer Antler, Cordyceps and many others. We have found extraordinary rare wild herbs like Purple Reishi, Cordyceps, Tibetan Rhodiola and Snow Lotus. We are always looking for the most incredible ingredients that can contribute significantly to your glowing health. We settle for nothing less than the best, and by using Dragon Herbs you can do the same. With these raw materials, we produce over 200 extraordinary products that have been satisfying the most demanding herbal connoisseurs for three decades. 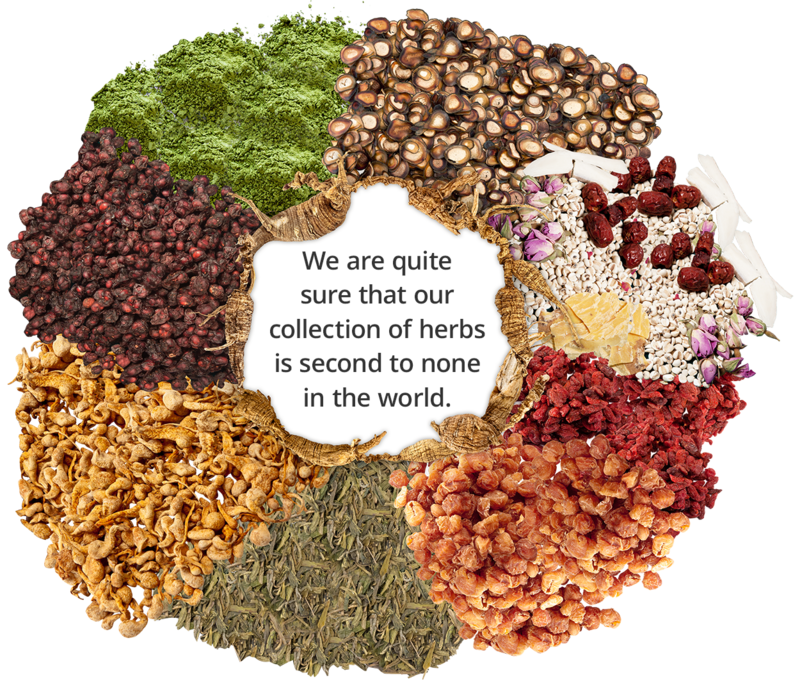 Our herbal products are exceptionally clean and potent, and as a result, Dragon Herbs is recognized around the world by connoisseurs of great herbs as the ultimate source of tonic herbs and superfoods. Thousands of years of experience has taught that regular consumption of the tonic herbs can and will provide a type of dietary support that is truly empowering. We are offering you the key to glowing health. Beyond all else, we are dedicated to serving you in your quest for glowing health, longevity and wisdom.